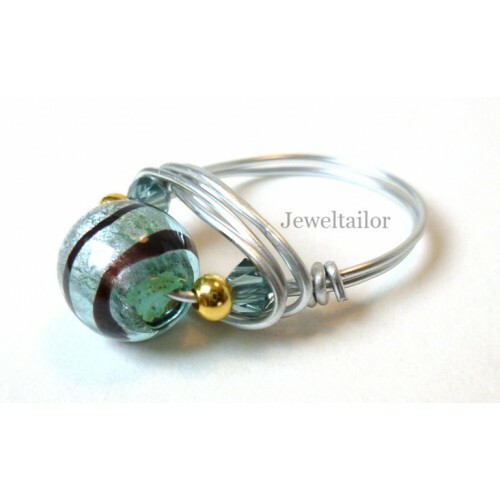 This silver plated craft wire is perfect for incorporating within a wide range of jewellery making projects. It is strong yet malleable enough for you to manipulate to suit your needs and it has been shown to retain its' colour over time. Supplied on a flat reel, this silver plated wire is 0.8mm wide making it suitable for most bead holes and you can see a design we created, using it, on the other page. Available in a range of pack sizes for even better value. 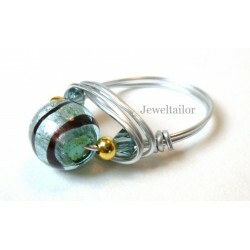 This 0.8mm silver plated craft wire has many uses. Creating closed loops, jump rings, ear wires or spirals are just a few of the applications and if you are an advanced jewellery maker you probably have your own long list. You can also harden the wire by hammering against a flat, metal block prior or post design and we find putting masking tape over pliers stops marks showing on the wire.